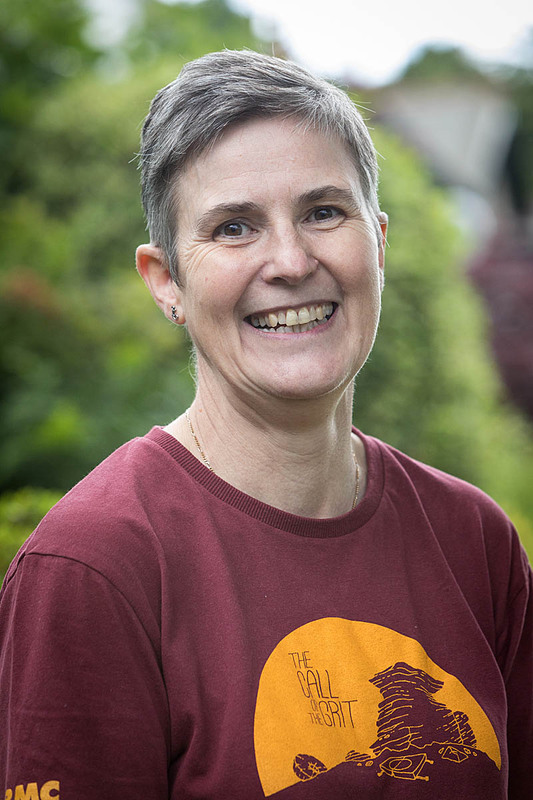 Lynne Robinson has more than 20 years’ experience as a BMC volunteer, from early office in her affiliated university mountaineering club to recent service as a vice-president. She qualified as a nurse and then as a social worker, and has worked for charities overseas and currently works in NHS management. She has worked on climbing guidebooks and in crag access. Last year she received the George Band Award for her voluntary contribution to the wider mountaineering community. grough asked Lynn Robinson if having a woman at the head of the 84,000-member body would see a change of leadership style. “I am the first female president, and it certainly hasn’t gone unnoticed that it’s the 100-year anniversary of the first female vote and when I was in Westminster the other day I bought some lovely gifts from the gift shop – votes for women – but having said that, looking at my skills and experience, and my volunteering background for the BMC, I just think I’m the right person for the job. “I think it’s down to my personality and my approach, how I was brought up and my personal integrity and passion,” she said. “Whether that’s gender-specific, I don’t know; I think it’s more to do with me as a person. “BMC membership has 27 per cent female membership. I think when I was secretary of the Peak area, that was something that was very important, not just in terms of women, but in terms of widening the diversity of people who came, whether it be young people – it’s just so important to enrich the debate. “I do also co-chair the national women’s development group for the BMC and we’re always looking at how the BMC supports that: the women’s trad festival, the women’s climbing symposium, women in adventure film competition, so I think role models are incredibly important. “With Shauna Coxsey, and what she’s doing and all the other top female climbers Leah Crane, Hazel Findlay, it’s just phenomenal, so I would want to just engage those role models – they’re really important. The Midlands-based mountaineer beat Les Ainsworth in the vote for the BMC’s new president. Mr Ainsworth stood on a ticket of being a unifying candidate. How did she see her role in an organisation that has seen internal strife in the past year? “I never saw Les as an opponent. We’ve worked together for many, many years on the guidebook committee and I’ve got the utmost respect for him. I don’t see any conflicts or tensions between us. Ms Robinson has wide experience in the activities which the BMC represents. “I do everything to be honest. I started hillwalking and then scrambling and doing more and more exposed scrambles and I thought, crikey, I want to learn how to use the ropes, so I joined a mountaineering club and then I did my first outdoor climb at Froggatt and since then I’ve been fortunate enough, I’ve mountaineered around the world; I’ve done trekking peaks in Nepal and I’ve climbed in the Alps. “I indoor climb including competition bouldering. I’m very proud to be part of our local veteran bouldering league and competition. “So in that respect, I just love being outside, whether it’s walking up Kinder or whether it’s down my local wall. I can’t believe how much I’ve got out of climbing and hillwalking so that’s why I want to give something back. “I live in Nottingham; I climb in the Peak District, Scotland, the Lake District, north Wales, Pembrokeshire, Cornwall – all over the country. Members voted overwhelmingly for a new governance that will satisfy Sport England’s requirements and some of the organisational review group’s recommendations. There is still work to be done to implement other points of the group’s report. “Looking at the implementation of phase two, the role of the chair of the board of directors will be different from that of the president,” Ms Robinson said. “As the president I see myself very much as the members’ voice. She paid tribute to her rival for the presidency and all those involved in the election. “I just want to thank Les. I’m really glad there were two candidates. “It has helped me focus on what I want to do and what’s really important to me and I think the support of everyone who’s voted.